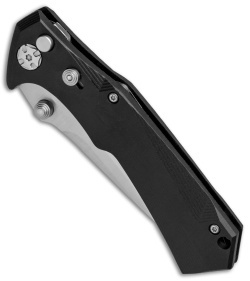 This Tighe Tac model has been converted to an automatic with a black GRN handle and a satin finished clip point blade. Brian Tighe has a unique ability to design knives with utility and style, as evidenced by his Tighe Tac Two folder. 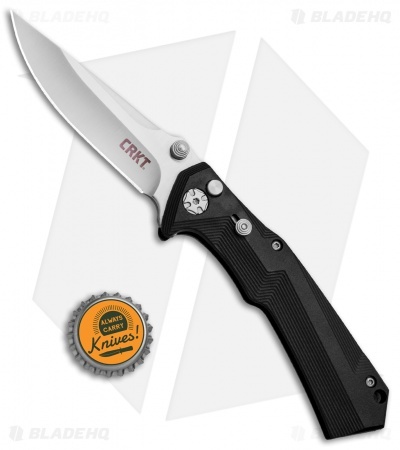 This model is the second generation of the first knife Brian created for CRKT. This Tighe Tac Two has a stainless steel clip point blade with thumb studs and a flipper opener. 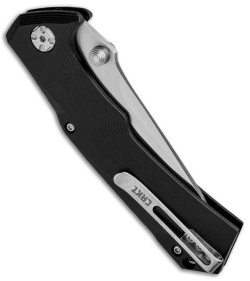 Glass-reinforced nylon scales display a stepped angular contour for first-class grip, and of course bold style. A button lock is used to secure the blade, and a deliberate push of the button releases the blade. 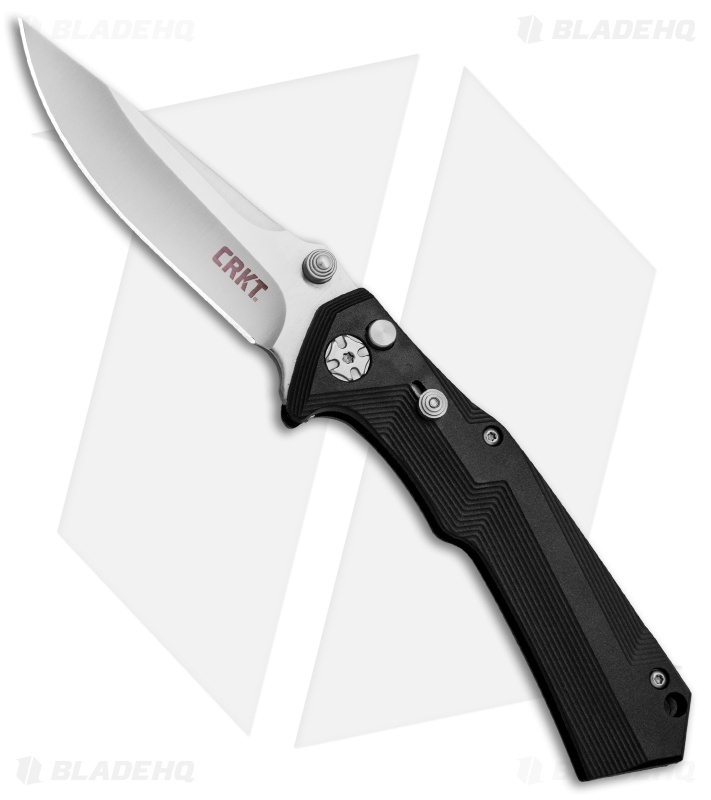 CRKT has outfitted the Tighe Tac with a deep carry pocket clip.